Our hostel is closed for the season. We will reopen May 8, 2019. Bookings for May 8 - July 15, 2019, can be made online now. Hope to see you sometime in 2019! 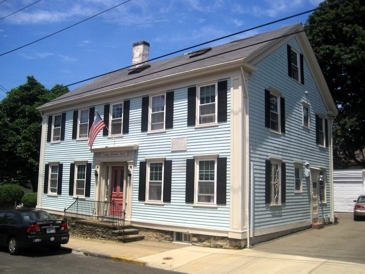 Celebrating 14 years of welcoming guests to Newport, the historic “William Gyles House”, located in the heart of Newport's famed Yachting Village in downtown Newport, is an inviting home hostel with comfortable dormitory accommodations. 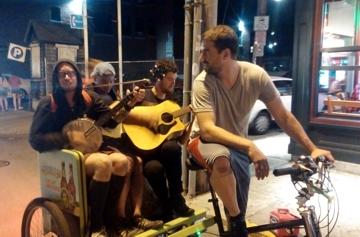 This hostel is designed specifically with budget-minded, but discerning travelers in mind. Inside amenities include a common room and travel book library; outside amenities include a private deck and yard with garden. Just beyond the hostel doors, explore hundreds of years of American history on foot or by trolley. Stroll the waterfront with its wide variety of enticing restaurants and outdoor cafes, vibrant nightlife and eclectic shopping. Newport, the City-by-the-Sea, is a world-class destination known for outstanding sailing, beautiful beaches and Guilded Age mansions. Located on the southern tip of beautiful Aquidneck Island, it's a wonderful get-a-way after an exhilarating time in New York City or Boston. Come experience the magic! During this past winter, Newport International Hostel owner, Merrilee traveled on a solo journey to parts Eastern Europe, specifically Budapest and Ukraine. You can view her adventures on her travel blog. Every Wednesday during the summertime in Newport there is an outdoor Farmer's Market on the shady walk between downtown and 1st Beach. There are lots of delicious choices of home baked goods, hot prepared foods, live music, and more! The 2019 Worlds in Newport will be the largest-ever gathering of 12 Metres in the U.S. The regatta will host 24 teams from seven countries. Some of the 12 metre yachts that will be racing competed in the “Golden Era” of America’s Cup history (between 1958 and 1983). This event will be held in conjunction with the New York Yacht Club’s 175th Anniversary Regatta, which will be held July 15-20, 2019. 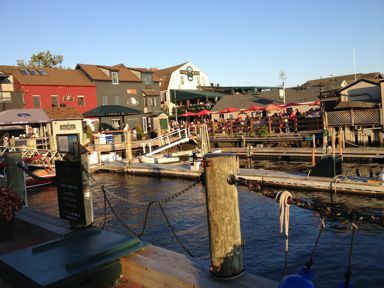 Newport is situated on an island along America's Northeast Backpacker Trail midway between New York City, Boston and Cape Cod. 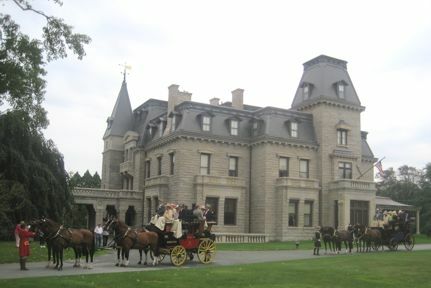 Newport is accessible by car or bus. There is frequent bus service between Providence, Rhode Island, and Newport on RIPTA for $2. Approximate travel time by car to NYC, 3 hours; Boston, 1 ½ hours; Cape Cod, 2 hours, Providence, 1/2 hour. For directions by bus, car or train click here. 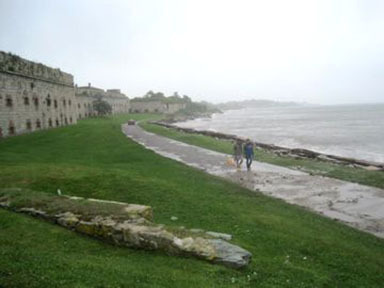 The historic and exciting Newport Folk Festival and Newport Jazz Festival are coming soon to Fort Adams in Newport! Listen to legendary performers and new, up-and-coming stars! Say hello to jazz impresario and festival producer George Wein as he cruises the grounds of the festivals in his electric Wein Machine. The Newport Jazz Festival has been a tradition in Newport since 1954. For a photo tribute to George and his festivals visit the festivals page on this website. A hostel is not just a cheap place to sleep, it's a lifestyle! Come join the fun! This guesthouse is owned and operated by former manager of the HI-Boston Hostel, Merrilee Zellner.